How Hopkins got X-ed out! 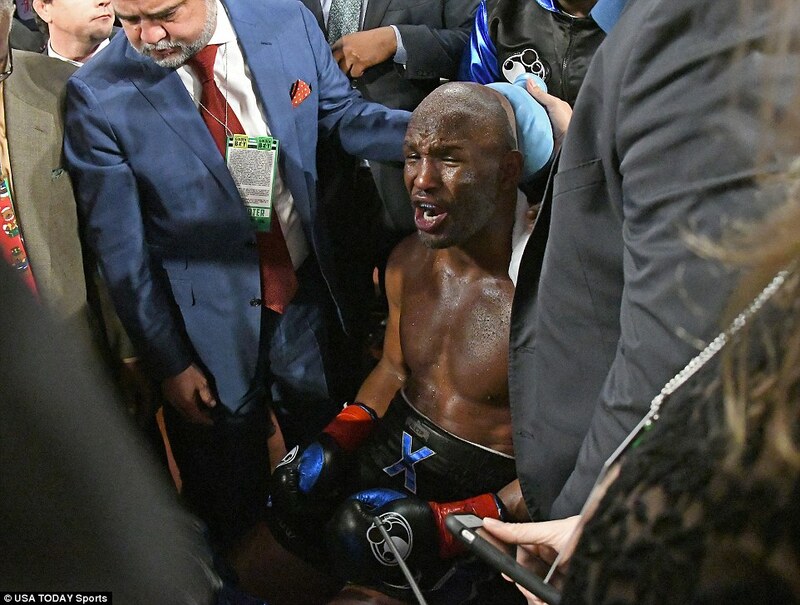 Former world champion Bernard Hopkins’ long and illustrious career ended in a brutal defeat when the 51-year-old light heavyweight was knocked out of the ring in the eighth round of his final fight in Los Angeles on Saturday. 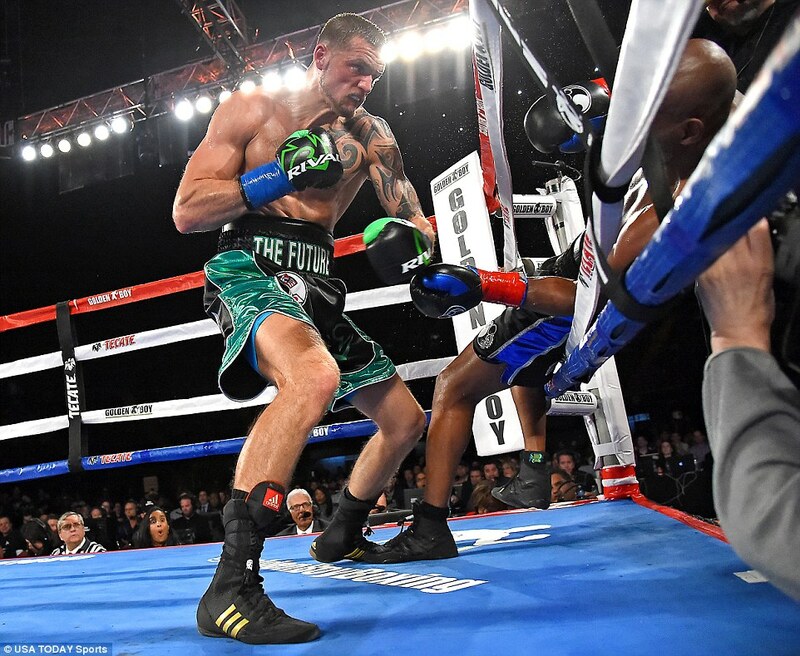 A month short of his 52nd birthday, Hopkins lost by technical knockout to fellow American Joe Smith Jnr at the iconic Forum when he failed to return to the ring within 20 seconds of being punched through the ropes. 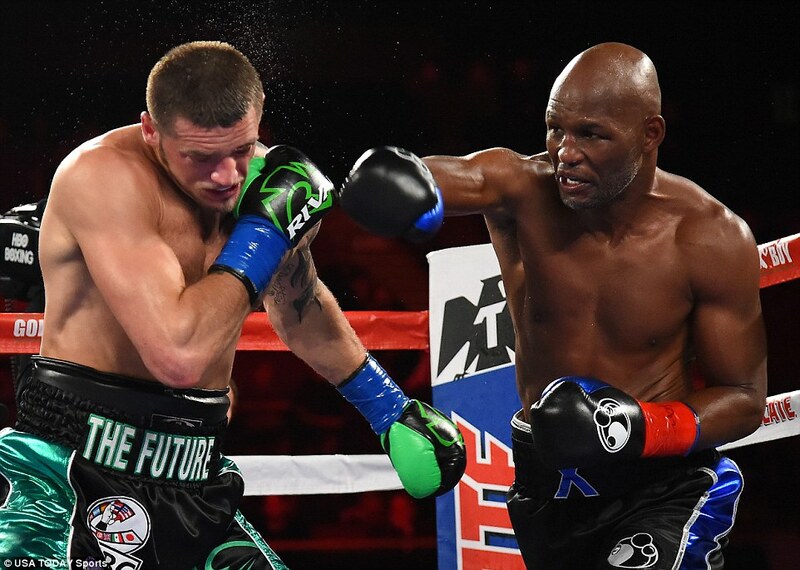 Hopkins had not fought since a crushing loss to Russian Sergey Kovalev two years ago and his first ever defeat inside the distance looked increasingly likely as the bout progressed against a man ranked second by the World Boxing Council. 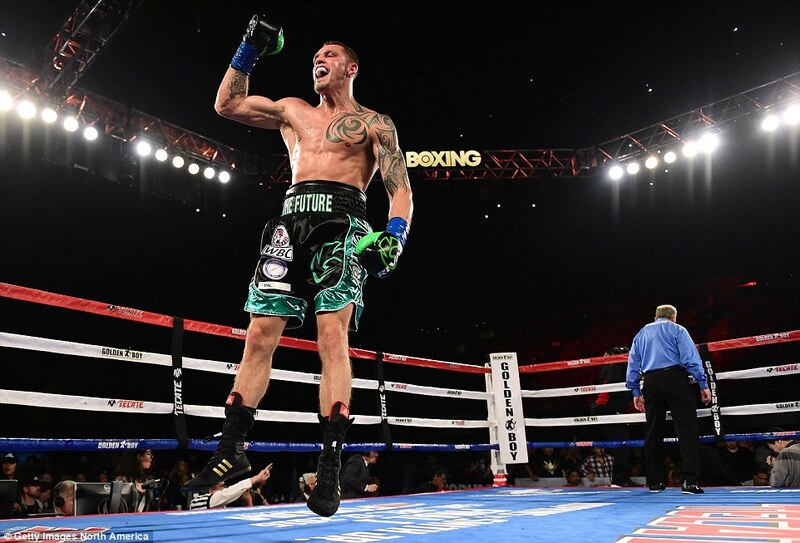 Already ahead on points on two of the judges’ scorecards, Smith Jnr ended the fight when he delivered a series of devastating blows to Hopkins’ head, culminating with a left hook that sent the veteran between the ropes and onto the Forum floor. 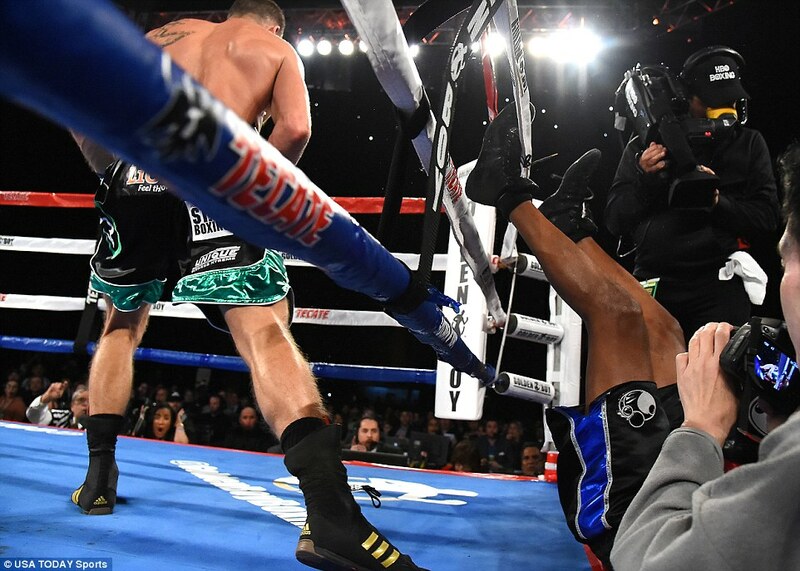 Hopkins appeared to land on his head but remained conscious and was helped to his feet but could not make his way back into the ring within the 20-second time limit. 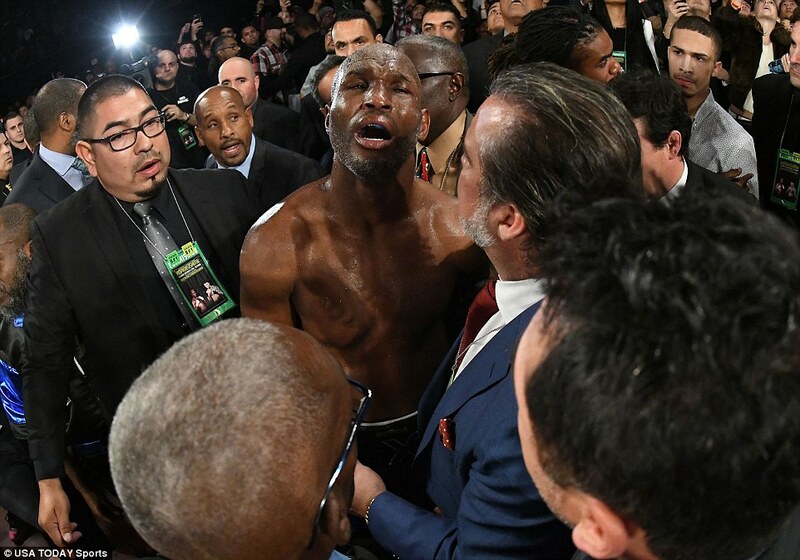 Despite the brutality of his defeat to the former construction worker from New York, Hopkins said he was still in with a chance until he was sent into the crowd. 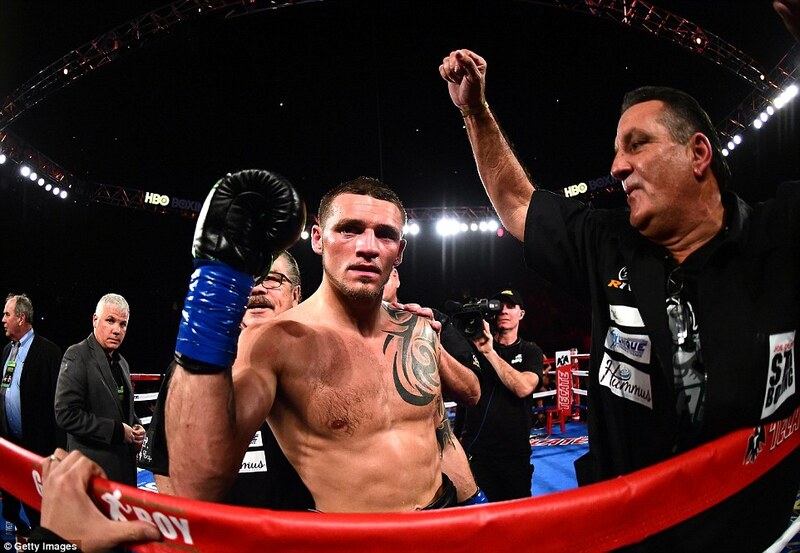 ‘I’m really still in shock they going to give him the fight,’ he told HBO television, before confirming that it was his final bout. 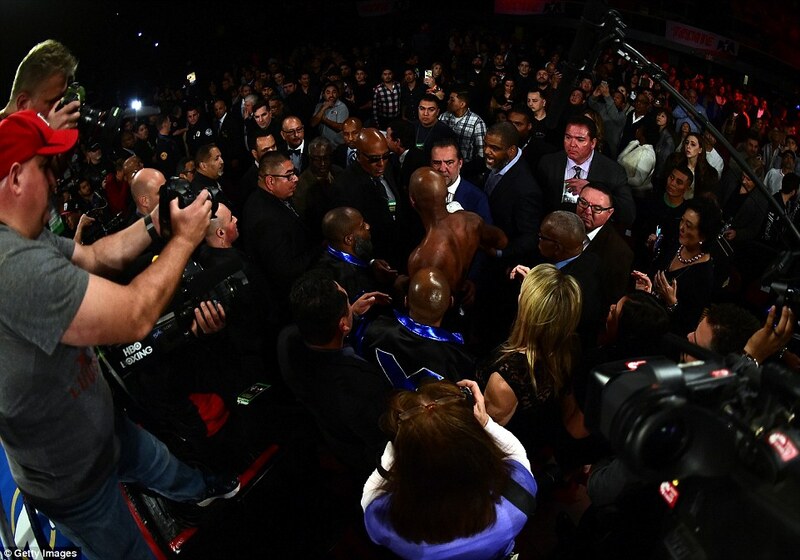 ‘He shoved me out of the ring. I believe I hit my head. My ankle (twisted) when I hit the ground. The victorious Smith Jnr described the final moments. 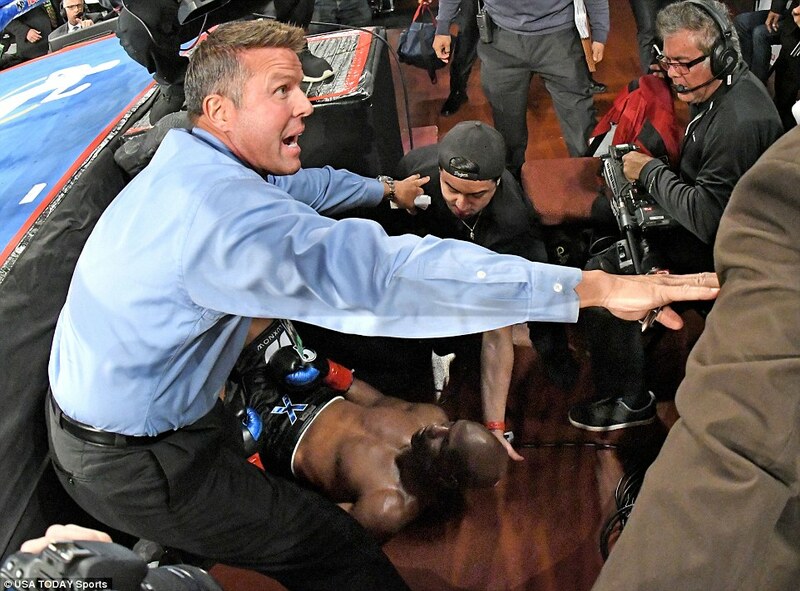 ‘I seen him fall and I kept hitting him,’ the 27-year-old said in a post-fight interview. ‘I landed that left hook at the end there to finish the job. I hit him with four or five clean shots there, good shots right on the button. Hopkins heads into retirement with a 55-8-2-2 professional record that includes 32 knockouts and registered a record 20 defences of his world middleweight title from 1995 to 2005. 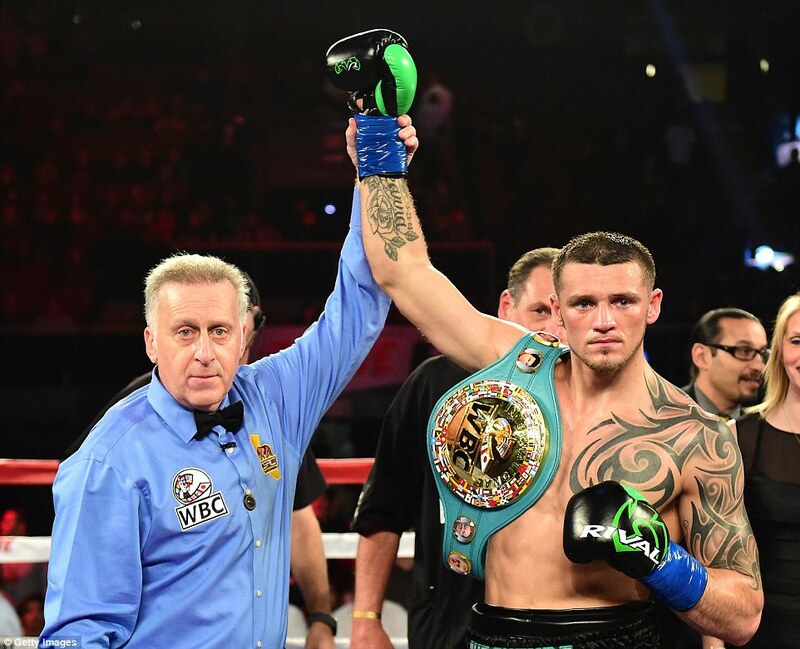 Smith Jnr improved to 22-1 after successfully defending his WBC International title for the first time.